I'm so excited today. 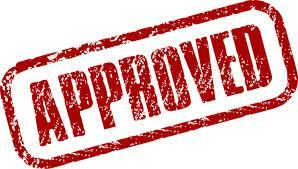 My CBAP application was approved. Part of what makes it so exciting is the proof that the approach I followed actually works! If you want to know the steps I took and start on your journey to becoming CBAP Certified, read 5 Practical Tips on how to Prepare Your CBAP/CCBA Application. I submitted my application on the 1st of December, 2012 and I got my approval today - 20 Dec, 2012. So, it took just 14 working days, which is less than the 21 working days stated in the IIBA email I received. For tips on how to pass the CBAP Exam, click here.